Lumbering down the aisles towards the stage, life-size puppets of elephants and rhinoceroses gather with giraffes and gazelles to greet Simba, the future Lion King of Pride Rock. With the renewal of life, the jungle is alive with hope as King Mufasa’s son is presented to the animals. 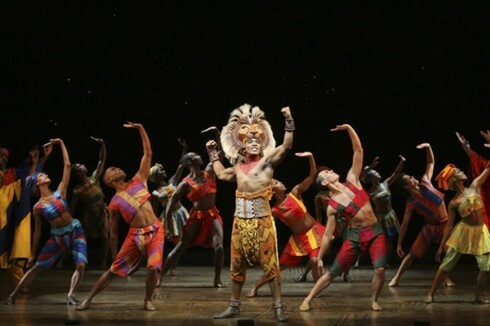 “The Lion King” is truly a unique addition to Las Vegas. By bringing this award winning show to a town that is not always “kid friendly,” Disney has given visitors and locals alike an opportunity for a truly unforgettable night with the entire family. It is also an excellent choice for a romantic night out. As the story progresses, we see young Simba fall into trouble as his evil Uncle, Scar, would like to be king. Scar readily admits that he is no physical match to Simba’s father, Mufasa; however, he insists that he got the brains in the family and should be the rightful king. Unfortunately for Scar, Simba’s birth meant that he would never have the opportunity. So, Scar leads the playful young Simba into danger. While Simba is rescued by his father from a stampede, Mufasa is not so lucky. After convincing the young lion that his father’s death is his fault, Scar urges Simba to run away. Predictably, Scar becomes king and Pride Rock begins to fall apart. In the midst of this darkness, Simba’s wanderings with some new friends allow him to forget his troubles, as well as lose himself, for a while. As Simba grew, he became restless and tired of wandering. When his childhood friend Nala, the lioness to whom he was betrothed, finds him and reminds him of who he is, Simba begins to find what he lost ? himself. Like all coming of age stories, there is a moment in which a child becomes an adult and is ready to take his place in the world. After much reflection, Simba returns to Pride Rock, confronts his past, and reclaims his thrown. 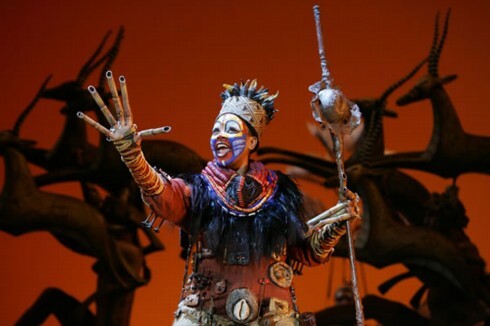 Though most people are familiar with Disney’s “The Lion King,” the stage version is both breathtaking and wondrous. This simple coming of age story is transformed into a spectacular event through vibrant costumes, puppetry, dancing, and music. The blending of African rhythms with music created by Elton John and Tim Rice makes this production truly fabulous. This show is definitely suitable for all ages and, most remarkably, this production does an excellent job of conveying themes such as life and death, as well as good versus evil, without scaring the children. Instead, younger children will be amazed at the elephants walking down the aisle next to them and delighted by the music and dancing. As my four-year-old daughter commented with delight, “The Lion King is wonderful!” I could not agree more. Dana Carvey's World - What A Freak Show!